This is a fabulous tray! 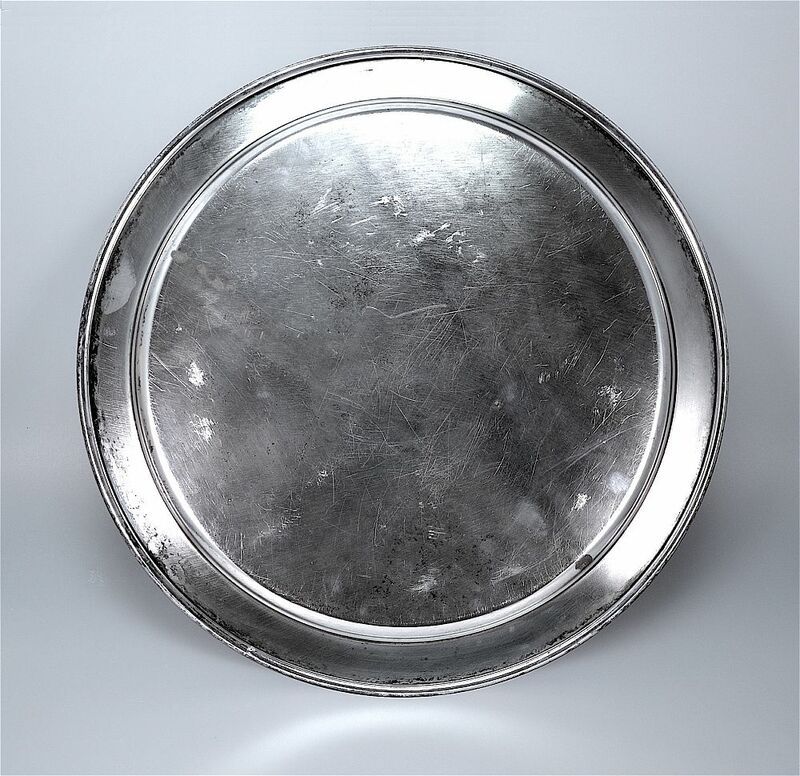 Designed by Luc Lanel for the French company Christofle it was made during the Art Deco period and is circular with a raised outer rim. The centre is decorated with a silver crab within a cog shaped surround. 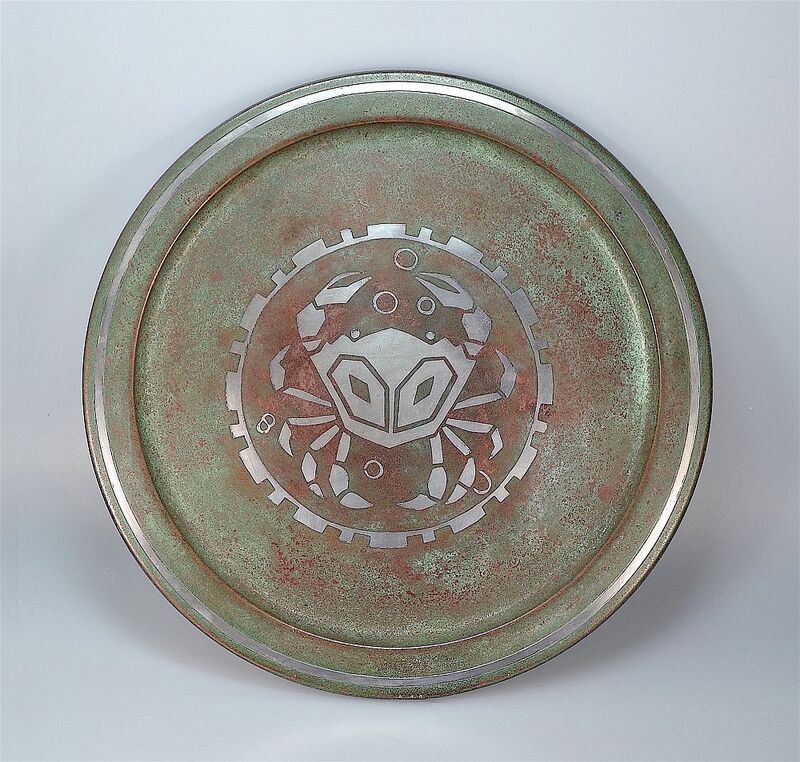 The tray is silver plated on the base probably over a copper base and the top has been enamelled in green to give the impression of verdigris with the Cancer zodiac sign overlaid in silver plate. 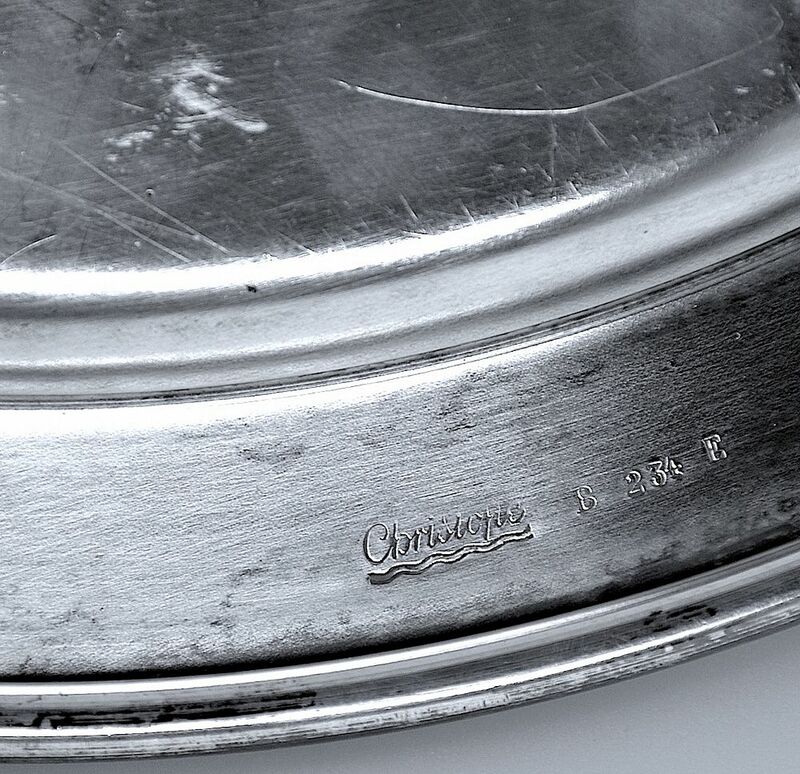 The back is script signed "Christofle" and stamped with an abstract "L" and "234 E"